The chief executives at AT&T and Time Warner say they’re ready for a rigorous review, and that’s more than likely what’s coming. On Saturday the two announced a plan for AT&T to acquire Time Warner for a purchase price of $84.5 billion. Time Warner’s entertainment products include HBO, CNN and Warner Brothers film and TV studio. 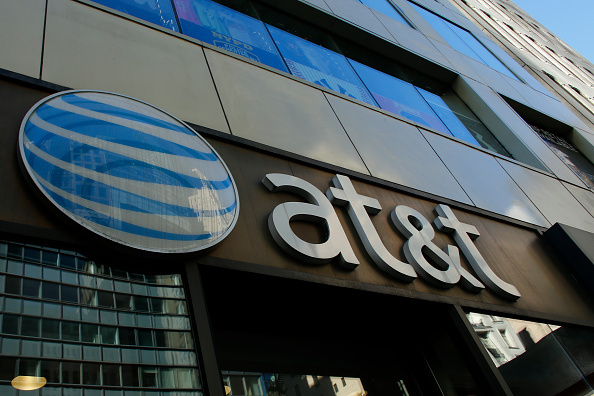 AT&T offers phone, internet, cable and internet services, and now, if this deal is approved, content. Proponents argue the deal will accelerate innovation in the media and telecommunications industries, but others say it’s consumers who will be picking up the tab. Join us to discuss AT&T’s plan to join forces with Time Warner. Scott Cleland President of Precursor LLC, a research consultancy for Fortune 500 companies, and Chairman of NetCompetition, a pro-competition e-forum supported by broadband companies. MR. DEREK MCGINTYWell, thanks for joining us. I'm Derek McGinty sitting in for Diane Rehm. Diane's on her way to New York to receive a lifetime achievement award from the International Women's Media Foundation. Well, AT&T's move to buy Time Warner is quite literally a big deal. First of all, there's that purchase price, almost $85 billion. Then there's the fact that the companies in question already own such media giants as Direct TV, HBO and CNN. Some say it's a bold move in an age when companies have to get big to stay alive. MR. DEREK MCGINTYOthers however describe it as more of a desperation Hail Mary that may not pass muster with regulators, but all seem to agree it is a sign of just how fast things are changing in our media business, which of course affects what we watch and perhaps more importantly, how much we're going to have to pay to watch it. Let's get this party started. MR. DEREK MCGINTYCecilia Kang is with The New York Times. Scott Cleland is with Precursor LLC, that's a research consultancy for Fortune 500 companies. And John Bergmayer is with Public Knowledge. You can join us as well. We'll be taking your comments and questions throughout the hour. The phone number 800-433-8850. That's 800-433-8850. You can also send us an email, drshow@wamu.org is the address. And we all know Facebook and Twitter are part of the equation. Welcome to all of three of you. Thanks for coming in. MS. CECILIA KANGThanks for having us. MCGINTYCecilia, I'll start with you. I sort of borrowed part of that Hail Mary phrase from your colleague over at The New York Times, Farhad Manjoo, who writes basically, nobody actually knows if this merger is a good idea, including the companies involved. KANGYeah, Farhad's take on this is that the companies had to do something. The industry is changing so much. They're seeing competitors bulk up. They're seeing new competitors emerge from Silicon Valley that are challenging their old TV business models. And so that's why you're seeing these companies as they look for new ways to grow, join hands and actually, in fact, join unions of marriage in these mergers. KANGThis is a big deal, as you said, in terms of the actual value of the deal. This is a big deal in that it creates a juggernaut. It creates a multi-tentacle company that has, as you said, not only satellite TV, it actually would be the biggest provider of paid television in the nation. It would be the second biggest provider of wireless services with 130 million subscribers. And it has 50 million broadband subscribers. Adding to that would be content. KANGAnd not just any content, this is marquee programming that's very desirable and has been the target of potential acquisitions for years now. Because HBO is kind of the equivalent of the designer coffee compared to Starbucks nation, which is, you know, other kinds of coffees. It's just a different sort of league, premium content. So it joins together these very big names with very quite literal big operations. And that raises lots of questions of what that means for the industry and for consumers. MCGINTYRight. And is it difficult to tell whether or not it's going to work? I hear echoes of the Time Warner/AOL deal from, I don't know, a dozen years ago, and people thought the whole business was going to be changed, and the only thing was changed was that AOL basically didn't go out of business, but left that deal a lot smaller than it came in. KANG...that synergies between these firms that can create potentially new products that consumers will love, potentially lower prices and more options, or -- and actually save money. That's what, definitely will be the message to regulators who are reviewing the deal as well. CLELANDYes, and in full disclosure, I'm also chairman of NetCompetition, so I'm supported by broadband interests. And AT&T is a member of NetCompetition. Actually the facts are the best friend of this merger. And when people step back and they hear the facts in context, I think, they're gonna have -- they're not going to see it as as big a deal as it is. And some people are remembering, first of all, the AT&T monopoly of past. And what people have to appreciate is that's dead. I mean, less than 10 percent of those telephone customers AT&T still has after the breakup. CLELANDThey don't -- you know, long distance, it's called the internet now. And equipment, they don't own it. That's a small company called Lucent. Then you have to put into perspective what Cecilia said. She was reviewing the key points, but (unintelligible) generally two companies get into a problem when they add and take a company over 30 to 35 percent, then that is generally a concern zone. What people need to understand in all this, while these are big numbers, they have to be put into percentages. CLELANDSo in the broadband wire line business, they have about less than about 18 percent roughly. Paid TV, which is Direct TV, around 20 percent of that market. On wireless, it's about 33 percent. And on content, it would be about a quarter. Now, the key thing there is Time Warner and AT&T are different businesses. So when you add them together, none of those numbers go up. And in laymen's terms for the audience, antitrust is about scale and scope. Scale is making something bigger, like paid TV bigger, wireless bigger or content bigger. It's not doing it. CLELANDIt's about scope, and scope is about variety. And we know variety is good because we look at big box stores. We look at, say, Walmart. Amazon has 300 million products. Google has all the world's information. So scope is another way that companies compete. And I look at this as all about scope, not about scale. BERGMAYERSo this deal is what they'd call a vertical merger, so it's a merger between a distributor, so Direct TV and AT&T has announced that it's going to have a new online streaming service, so it's a distributor of content and also on its wireless and fiber properties, and also a content provider, which is what Time Warner is. And the fact is, antitrust law has historically been very concerned about vertical mergers. The basic concern is that if you have a standalone content company, it's going to want to make the most possible money for that content. But if you have a content company that's in the same organization as a distributor, you might start using that content to favor your distribution business. MCGINTYAnd there is an example in history of big studios not being allowed to own movie theater chains, right? MCGINTYBecause the whole idea was -- and this was back when there wasn't that much competition, that if the studios own the movie theaters, they really could stick it to the customers. BERGMAYERYeah, that's correct. There are a lot of historical examples of antitrust being very concerned about vertical mergers, and another it's just the standard oil, go back to the beginning of the 20th century, there are a lot of vertical concerns at the very dawn of antitrust law. And similarly the concern is that AT&T would be able to favor Time Warner content on its own properties, on its distribution properties. BERGMAYERNow, imagine you're an independent programmer and you have programming that competes with Time Warner content, why would AT&T want to pay you the same amount that it might be paying now for that programming when now it has its own program instead? And that might reduce choices for viewers. MCGINTYYou ask an important question. Scott Cleland. CLELANDYes, now, horizontal mergers are about scale. They are -- they attract a ton of attention. And those are the big mergers that are a problem. I'd have to disagree with Mr. Bergmayer about vertical mergers being something that's a real concern, because you can't find, in the last few decades, vertical mergers that have been blocked. It's very hard. And an antitrust expert will tell you that. CLELANDNow, what's really interesting, and why I said facts were the friends, I went back last night and looked at, wouldn't the viewers be surprised to know that Google has bought 199 scope acquisitions since it's around. So that's one every month. Microsoft 197, one every two months. Apple 82 acquisitions, one every six months. Facebook 60, one every two months. And Amazon 28, one a year. So vertical mergers happen in the marketplace all the time, and we have to make sure they're treated fairly. MCGINTYWell, perhaps not this big. Cecilia Kang. KANGYeah, I was just going to -- to bring it back to this deal, which again is called a vertical merger, it's these -- Time Warner and AT&T do not compete on the same supply. They do not compete each other. Well, against each other. But they are on the same supply chain. So the concern about exercising unfair power as a dominant force, that antitrust measures that will be reviewed here, is that if you are so powerful, particularly if you own the gateway to the internet, if you own the wireless service, and you own the home broadband, and you own paid TV service, the incentive to potentially block competition for others on the supply chain. KANGSo if you are, say, a small competitor to a news channel that's just trying to emerge and compete with CNN, antitrust regulators will try to think, okay, so what kind of power will AT&T have to potentially try to block that small new competitor to our new asset, CNN. Those are the kinds of things -- ways that they look at vertical mergers. KANGAnd, in fact, one of the things -- there is a lot of concern about vertical mergers. You hear antitrust regulators say that quite a bit. The other problem is because these companies are so interlocked in this ecosystem of the TV universe, that some programmers would actually be afraid to speak up. That's one of the things that antitrust regulators tell me all the time, is that they want to make sure that programmers aren't somehow punished for complaining about the terms that are set by very powerful broadband and TV providers, for example. MCGINTYCecilia Kang is technology reporter for The New York Times. Also here in the studio Scott Cleland, he's president of Precursor LLC, a research consultancy for Fortune 600 companies, and chair of NetCompetition, a pro-competition e-forum supported by those broadband companies. Also with us John Bergmayer, senior counsel at Public Knowledge. I'm Derek McGinty and you're listening to "The Diane Rehm Show." MCGINTYWelcome back. I'm Derek McGinty sitting in for Diane Rehm. We're talking about that $85 billion proposed merger between Time Warner and AT&T. It is something that's going to perhaps change, is the way we deal with all our screens, from the phone to the iPad to the big 70-inch you've got in the basement. Let's -- we're talking with Cecilia Kang, technology reporter from The New York Times, Scott Cleland, president of Precursor Inc., or Precursor LLC, I should say, a research consultancy for Fortune 500 companies, and John Bergmayer is senior counsel for Public Knowledge. MCGINTYI want to take a tweet here we got from one viewer, who says, "I'm hoping the merger doesn't get approval but not optimistic. Comcast should never have been allowed to acquire NBC, but it still did. I think people are scared just by the size of these things." CLELANDWell, can I respond to that? MCGINTYSure. That's what I was hoping you would. CLELANDLook, when we talk about size, let's talk about AT&T right now. Do you know that there are five communications-related companies, and we all know who they are -- Google is certainly, in internet, Microsoft, Apple, Facebook, Amazon -- all of them have 10 times the amount of users that AT&T does. Three or four of them have much more value than AT&T does. MCGINTYI feel like you're comparing apples and oranges there. I mean, Google and Facebook and these companies, these are social media companies that don't actually provide content in the way we think of content, like Time Warner does. CLELANDExcuse me on that, that's not correct. Google bought Maps. We could add into that content. They bought YouTube. One of the quiet acquisitions they made is they bought the only machine-readable database of all the facts in the world and that's content for a search engine. You look at, you know, Facebook, they just bought WhatsApp. I mean there's this double standard with tech and with communications. And the reason the double standard exists is because there's FCC, where they have been regulated historically, and tech has not. CLELANDBut they are -- these companies I just mentioned do communications. My teenagers, they Facetime or they use social media to communicate. You just got a tweet. People communicate by everything. KANGBut you can't do a -- you can't have a Facetime conversation without a wireless service provider giving you that ability, or Wi-Fi. So I do think that there's a difference between broadband providers -- wireless and to the home -- and these web companies. Increasingly less. It's getting fuzzier, I agree with you, Scott. But just for the purpose of this conversation of what this deal does for consumers, it's -- I think it's a really interesting time, Derek. But big is bad. That is the line that you're hearing politicians espouse. It's become -- this has become a political topic in the election, both the presidential and also congressional elections, this particular deal already. KANGAnd interestingly, this is a very rare thing, you're hearing from both sides of the aisle calls for very tough scrutiny. You're calling -- Donald Trump and Bernie Sanders, two pretty much on the exactly polar opposite ends, are both saying the deal should be knocked down. It's an interesting populous time where there's a general concern that a lot of the country is getting left out of the spoils of the economic boom. And how these big companies fit into that picture is not always clear. KANGBut this deal has become a target. BERGMAYERYeah, I think that's true. In recent years, antitrust law seems to have very narrowed on the concept of just, what is the immediate effect on consumer prices. But one of the historical underpinnings of antitrust law was this broad concern about concentrations of economic power which lead to concentrations of political power. And I think that you have seen a revival of that line of thinking when it comes to antitrust. So I think that there is a very good chance that both legally and politically there are good reasons to challenge this merger by the Department of Justice, for instance. BERGMAYERAnd I would also not read too much into the fact that, yes, it is true that the Comcast-NBC deal was approved. But the market has changed since then. Not only have the political winds changed since then, but also the market has changed. We've seen Comcast-Time Warner -- I mean, excuse me, we've seen Comcast attempt to buy Time Warner cable. That was blocked. Eventually, Time Warner Cable -- a different company, it's worth pointing out, than Time Warner in this context -- was acquired by Charter. AT&T just recently bought DirecTV, not to mention Comcast-NBC, which we talked about before. BERGMAYERSo you've had a market which is much more concentrated than it was when Comcast Tried to buy NBC. MCGINTYI want to ask a question as a consumer, what is in this for me, right? If I and my government decides to let this go through, what do I get out of the deal? Now the CEOs say that combining the companies will speed innovation. But, Scott, I'll ask you, how so? CLELANDOh, this is -- what makes sense, this is a scope merger. Remember I said, it's about creating variety, creating choices. So if you're a Time Warner content customer, you're going to have some new distribution opportunities. Because what customers want right now and what they're clamoring for is, I want my video on any device I happen to be in at any time. Is it on my smartphone? Is it on my tablet? Is it on the big screen at home? They -- what this merger is about is making that easier and more seamless, because that's a paying point. CLELANDBut the new innovative things are, is they've said they want to push the industry to develop mobile-based video. Right now, most all video is designed for static, sitting in one place. And what they're realizing is gamers and other people have an appetite for new, innovative services using wireless where they are at any given time. And that's what this merger will ultimately be able to do than otherwise. MCGINTYI think the fear is what I'm going to be paying for all this great video and mobility. KANGYeah, I think that there's -- I think, stepping back, consumers, when they hear of another telecom deal, when they hear of another telecom content merger similar to the Comcast acquisition of NBC Universal, I think people reflect and they think, huh. Have my prices gone down? Has my service improved? Do I get what I want as, you know, as, you know, when I want it and where I want it? And is that because of my provider? And if the answers are negative toward the merger, meaning it reflects poorly on the merger, that bodes poorly for this deal. KANGThat said, on the regulatory side -- and John touched on that -- I think that the Comcast-NBC merger will definitely be used as an argument by the companies that this happened. And we can't actually -- we actually can't compete with Comcast and other cable companies unless we merge. So that's in favor, I think, of this deal. The other thing that's in favor of this deal is it may not have a double-agency review. And what I mean by that is, because Time Warner does not own that many assets that the FCC oversees -- it has one TV station in Atlanta and it has some satellite assets with, I believe, CNN -- it could find a way to either divest those assets to avoid a review by the Federal Communications Commission. KANGAnd actually, the FCC's antitrust review is arguably, in some ways tougher than the antitrust review at the DOJ. MCGINTYLet's go to Jean in Jersey City, N.J. Thanks for calling "The Diane Rehm Show." You're on the air. JEANHi. Good morning. Thank you for taking my call. I'm a complete novice at this. As a matter of fact, I'm just your average pedestrian (laugh) who's really only interested in sort of some of, you know, cable and cable in, and how much it costs for cable coming into the home. I was looking for some advice. Because your panel or one of the -- your gentlemen has mentioned that Facebook, Apple and Google were all vertical mergers or acquisitions. And it was explained the benefit of the Time Warner and the AT&T. Now with Facebook, Apple and Google, I find those to be optional, oh, I don't know, services, if you will, that -- I don't have Facebook. I very rarely use Google. And, okay, I have an iPhone, but who cares? JEANAnd as far as Time Warner-AT&T, is that -- I see that as quite different. And I was just curious, am I mistaken or? BERGMAYERWell, I mean I do believe that you are correct, that there are some services that are just absolutely inevitable if you want to participate in the modern economy. And some of those services are wireless telephone service. And some of those services are broadband in the home. And AT&T is present in both of those markets. As Scott will point out, they're not necessarily the biggest provider in any of those markets, but nevertheless, these services are a lot harder to avoid than online services where, even for those services that have a lot of users, you the user do have much more of a choice in what you use. BERGMAYERI'd say, though, if you're worried about the effect on prices -- I think that is something that we hear from consumers a lot -- well, here's a story about how this merger could affect prices. I'm AT&T and now I own Time Warner Cable -- I mean, excuse me, Time Warner programming. I also am still going to be selling that programming to other distributors. I'll be selling it to Comcast. I'll be selling it to Charter. MCGINTYBasically because you'll be selling your HBO and these other programs. BERGMAYERBut now I have my own distribution business, which competes with them. So now you're in the position of selling a product to your competitors. You might charge them a little bit more. You might not want to give them the best deal. You might put terms and conditions. So even customers who are not AT&T subscribers or not DirecTV subscribers could see their prices go up as a result of the changed incentives of this new company. CLELANDAnd that just isn't the dynamic right now. This is getting -- this is more fiercely competitive, this type of merger. You've got Comcast now getting into wireless. You have Google getting into Google Fiber and fixed wireless and Project Fi, which is (word?) Wi-Fi communications. You have to realize, in the United States, we do have more broadband competition than anywhere else in the world. Could there be more? That would be -- everybody would like that. But we do have a lot more wire-line broadband competition than almost anywhere in the world. And we have four broadband wireless. And prices are going down. It's the fact that people want to use it more that they look at their bill and they're -- are concerned that that is going up. MCGINTYBut I think I want to get back to John's main point, which is that if one company does control HBO and I want to watch "Game of Thrones" and they want to make sure "Game of Thrones" is on DirecTV but maybe doesn't get over to Comcast Cable quite as quickly, then what's to prevent them from doing that? CLELANDWell I think this merger, as we've heard, they're going to be considering conditions. There were conditions on Comcast-NBCU that addressed those issues. So it's not a deal breaker. I, you know, that's something that the companies will have to work out with antitrust officials. But a lot of those concerns are fixed by conditions. And one of the key points I want to make that I haven't yet, is we forget that AT&T is regulated right now as a utility. And on -- that's on wire line and on wireless under the FCC. And so people that are saying, oh, my goodness, there's discrimination or there's a problem here, this is a heavily regulated company already. CLELANDAnd so, you know, when they're talking about a lot of these concerns, it strikes me as a little odd, because they already are among the most regulated companies in all communications and tech. MCGINTYCecilia Kang, you look skeptical. KANGWell, I think it's, you know, it's -- you're -- it's kind of a leap of faith, right, that the companies will be fair. I'll give your, you know, I'll work your example of "Game of Thrones," that "Game of Thrones" gets on every competitors' platform as quickly and with the same terms is sort of, you know, and making sure that if there are concessions or what's known as conditions to a merger, which means like mandates, we'll give you this merger approval in -- as long as you do X, Y and Z. One of the problems that I hear from actually antitrust officials as well as people who observe these deals with the past is that the conditions are really hard to monitor. They're hard to police. They're hard to enforce. KANGOne example, a small example is Bloomberg TV. This is a real wonky television business kind of thing. Bloomberg TV has a business channel that competes with CNBC. CNBC is owned by NBC-Comcast-Universal. They claimed in a lawsuit that Comcast did not put the Bloomberg channel close to other -- clustered with other TV networks that -- TV channels that are similar in nature, such as other business channels. And they put Bloomberg, they said, in sort of the boonies of the television dial. KANGAnd they say that was anticompetitive. So that's kind of an example. And they sued for about two years. It took a long time for that to get resolved. And that's an example of how some of these things, these promises that we won't be competitive -- won't be anticompetitive are hard to police. MCGINTYI'm Derek McGinty and you're listening to "The Diane Rehm Show." We're talking about the big proposed merger that has AT&T buying Time Warner for $84.5 billion. The last voice you heard was that of Cecilia Kang. She's technology reporter at The New York Times. Scott Cleland is here as well. He is chairman of NetCompetition, a pro-competition e-forum supported by the broadband companies. John Bergmayer is senior counsel at Public Knowledge. The phone number here, 800-433-8850, 800-433-8850. MCGINTYI will note that we have a tweet here that I think is pretty relevant that says, "the huge difference in Facebook and Googles versus telecom is that we're not paying for Facebook, Google, et cetera. Telecom rate hikes are frequent." Care to talk about that, Mr. Cleland? CLELANDAbsolutely. I mean, in the sense that you have a, you know, a free and open internet where they have models where they are allowed to basically do anything. They have almost negative regulation in a sense, you know, where in every other industry in America that's important, like in finance or in health or in communications, we have privacy rules that apply in some sense. You have no liability. You have tax benefits, all sorts of things. So they've chosen to do free models. But what that free model also allows is them to get a global dominant scale. CLELANDAnd so what it also yields and what antitrust hasn't done anything about to date, is you have, you know, search engines with 90 percent share and 90 percent advertising share. You have Facebook and social media with 80-plus percent share and social media advertising 80 percent-plus share. You have other companies that are also in the tech area that are, you know, way over 50 percent. CLELANDAnd so when you get free, you create virility, because there is no friction and, in that, you then create -- if you want to talk about juggernauts or you want to talk about behemoths, you know, when companies have 1.5 or 2 billion users, and like Google has 190 products or Facebook which has four of the top-ten apps -- those, in my mind -- I thought the internet was the future and broadband was the past -- those are big, dominant companies. KANG...the conversation about the tech companies. Because -- for lots of concerns, for sure, about the dominance of web companies and that they haven't had -- been scrutinized here. But they're fundamentally different companies. You know, you don't subscribe to one of these companies for your entire access to the internet, which is completely vital to have these days. So I sort of feel like it's a lot of comparison that's apples and oranges as you say. BERGMAYEROne possible commonality is that a lot of people with these online companies are concerned about how they're giving up their privacy to these companies in exchange for the free services. And it's worth considering. AT&T is going to have a much big -- more clear window into the programming that people are watching with its new online video streaming service and by owning Time Warner Cable content. Right now, Time -- excuse me, Time Warner content. Time Warner distributes programming to other distributors. Any information it gets back from viewers, it has to get from them. BERGMAYERWhen those are combined in one company, AT&T is going to be able to see, okay, people are watching this. Here's where they're watching it. We're going to be able to target ads on our programming stream that we now control to them based on their location, based on their demographic profile -- all things that you -- it's much harder to do when you have more of a separation between the programming and the distribution side. So even those people who are very concerned about their online privacy, which is a growing issue among a lot of consumers, they should consider the way that integrating distribution and programming could negatively affect their privacy as well. MCGINTYYou're listening to "The Diane Rehm Show." MCGINTYWelcome back to the Diane Rehm Show. I'm Derek McGinty, sitting in for Diane, and we're talking about the big merger proposed between AT&T and Time Warner. I think over these last 40 minutes or so we've established why AT&T and Time Warner think it's a good deal. Whether it's a good deal for you listeners out there remains unverified. Walter in Jacksonville, you're on the air, go ahead. WALTERYeah, I -- well, I've been suffering from the Comcast merger. I'm not able to separate my, you know, Internet from everything else, I end up with a bundle. And then they also decided that they're not going to have storage anymore, so I lost, what, 10 years of pictures. So (unintelligible) content providing, my content disappeared, like, completely out of my hands. MCGINTYSo he feels as though the merger there from Comcast, I guess and NBC, was a bad deal for him. BERGMAYERSo I mean, I would say that when you have more services under one roof, it's more likely that the companies will cross-sell, they'll bundle them together, they'll make it sometimes even cheaper to get multiple services from one company instead of just buying them ala carte or piecemeal. That's not to say that bundling is always bad. You know, you go to McDonald's, you order the Number One, that's not a bad deal necessarily. BERGMAYERBut at the same time, a lot of ways that the cable bundles work, it seems as if people say to you, well, here's the bundle, you have to buy the whole menu or nothing. And I think that there's a strong feeling among consumers, which I think is backed up by the ever-rising prices that people are paying for video programming and communication services, that bundling is being used in a way to get people to pay more, as opposed to giving them better deals. CLELANDWell I think in broadband, I mean, bundles do save people, and for the vast majority of people, they want all three services, and when they get a bundle, it is much cheaper. Now are there some people that would like a few? Well, there are some people that would like to go in and get a car and say I'd like this car not to have these features or whatever. But the way it's done is because it's a scale business, you have usually two, three, four choices of features that you get. CLELANDSame thing with bundles. There are different ways they are done. Are they perfect for all people? Probably not. But they are organized that way because they offer enormous savings and enormous utility for the vast majority of users. MCGINTYOne of the things we are hearing, and we're getting tweets about it, as well, is that people seem to feel that customer service takes a hit when one of these companies grows to such huge proportions. MCGINTYBut we're not talking about any of those. We're talking about a huge merger that if it goes through, there are concerns that the customer service will get worse. KANGI think the concern is, and this goes back to the is bigger better or worse for you, bigger company, is that if you are a bigger company without competitors, a lot of competitors, what actually moves you to improve the customer service. That's the question that I think regulators will be looking at. That's a question that consumer advocates and lawmakers are talking about. Why would you want to improve customer service if you're the only game in town? MCGINTYBecause they you'll go somewhere else. KANGThey'll get killed, exactly, if they don't. BERGMAYERAnd I think there is a dynamic, sometimes, where there are exceptions. I think Amazon is a giant company, and they offer excellent customer service, for instance. But very often the larger the organization, whether it be a business, whether it be a government even, sometimes the customer service aspect takes a hit. So if you're making a company bigger, you would expect that to -- that dynamic to continue. BERGMAYERYou know, smaller businesses are going to be closer to their customers, they're going to have more of a relationship. So you would expect, I believe, smaller companies to offer better customer service. MCGINTYCecilia Kang, you mentioned that regulators are going to be taking a close look at this, perhaps the FCC but definitely other regulators. What are some of the questions they're going to ask? Will they be along the lines of what we've been talking about? KANGYes, very much so, and I think one thing that the Justice Department, which surely will look at this, will ask, and we can take cues from how they've reviewed past mergers, they will look at how this deal could potentially actually foreclose competition in the future. And what I mean by that is one reason why they actually rejected the Comcast bid for Time Warner Cable I think it was two years ago was they actually said later on that they were afraid that such a big cable entity with NBC assets, another vertical merger, could close off competition for online streaming companies. It could -- and other future companies. KANGSo it's a really interesting lens through which antitrust regulators look at mergers today is how this deal could actually foreclose competition in the future, but they will definitely look at the supply chain that we discussed and how different levers within that supply chain can exercise too much power over other parts. MCGINTYScott, do you want to say something? CLELANDYeah, in antitrust, I think the -- you know, I was surprised on, you know, Comcast-Time Warner because basically the FCC moved the goalposts. So from the time when they were announced merger and other, they changed the rules of the game. And so that merger was one that was a little bit -- I was surprised that they did that. This is not a bigger merger from an antitrust standpoint, it's a broader. CLELANDWhat we're talking about is creating more variety and more choice, and if you look at every segment that this merger is involved with, consumers have at least three and sometimes as many as six or seven big choices for whatever is in that segment. CLELANDSo there's a funny dynamic with companies that are in issues like this, where they'll tell investors in the business community one thing, and they'll have to tell regulators another thing. So to investors who are might -- may be worried, it's like does this deal even make sense, you're spending so much, are you going to get that much more extra value out of it, they'll say. Oh, we're going to be able to do all these amazing synergies between the two companies, we'll be able to favor our content, we'll be able to offer new services that our competitors won't be able to do. CLELANDBut those are the very things that the regulators are concerned could end up negatively affecting competition more broadly in the marketplace. So they have to walk this very fine line of saying here is what we'll do and here's why the merger makes sense for us and for our investors, but at the same time if they take it too far, then the antitrust regulators will just put a stop to it. MCGINTYRiley (PH) in Houston, Texas, you're on the air. RILEYHi, yeah, thanks for having me. I just wanted to make a comment. I've been a DirectTV customer. I've had them since the mid-'90s, right when they first came out. Anyway, love their service, you know, everything was good about them. And then AT&T bought them out. When they bought them out a year ago, whenever that was, and I just wanted to comment that customer service since then has gotten absolutely terrible. RILEYI mean, they mess my bill up all the time. You know, I nearly canceled my service yesterday because it was so poor, you know, and because they were messing my bill up so much. Anyway, so, you know, my big fear is during these huge mergers is that same thing happening with a company like Time Warner that might have good customer service and that getting all messed up because they're switching over to AT&T systems. RILEYSo I just wanted to hear y'all comment about that and if the antitrust regulators are going to take that into account when they're making their decision. CLELANDAnd Riley, that's definitely a drag that that has not worked out for you. Mergers, I'm not going to sugarcoat it, there is complexity, management, and there's going to be some bumps along the road. But generally what these mergers are trying to do is to do it right. Do they do it right all the time? No. But I think they're offering a better package, they're offering a better value, and generally the prices of the sub things that people are going down because the market is very competitive now and getting increasingly competitive because the tech sector and the communications sector, and we all know the word convergence, it is converging more rapidly, and each one of these tech businesses is getting into the communications businesses, and this merger is one of many more that will come. This is the reality of two big sectors colliding in convergence and re-sorting out how all these things are done. MCGINTYDid I hear you say prices are going down? MCGINTYBecause I have not noticed this on my bill, either. I have not noticed my Verizon bill being any less than what it is. In fact, I think it's more. CLELANDPrices are going down, which encourages more usage, and people are using more usage. Why more usage happens is they choose to watch more video on their smartphone, and that takes a lot of bandwidth. The price per gigabit has been plummeting, but demand has gone up. MCGINTYBut the price of my cable has not been going down. CLELANDOver time it has with competition when you back out the new things that have been added. What you're seeing is a bundle. They come along, and they say would you like this new service, and people accept it. And they go, wow, my bill went up, yeah. MCGINTYJohn, John, I'm skeptical. What do you think? BERGMAYERYou can count things in all kinds of creative ways to find a metric by which prices are going down. Like for example, the way this is done in cable television is they say, well, the price per channel is going down because, well, you're giving me a bunch more channels that I'm not watching. So yeah it is, but who cares. MCGINTYAnd I can't even -- I can't opt out of those channels and get the lower price. BERGMAYERRight, I think that the bottom line for consumers is, what is the price that I am actually paying. How much is the check that I am writing to my company? And by that metric, I think that prices are still going up, and when you compare it to other markets that are truly competitive like consumer electronics, there look at personal computers from the early '90s. Not only are they thousands, tens of thousands, hundreds of times faster, they're also cheaper even when you're accounting for inflation, and that is not what you see in the less competitive communications and media marketplaces. MCGINTYWe do have an email that switches the topic just a bit. It says, "why hasn't Netflix been mentioned even once in today's conversation? Can your guests talk about it in the context of this topic?" CLELANDCertainly, people would be surprised that Netflix has almost twice as many subscribers as this merger would have. And so when people think, oh, this is such a juggernaut, just remember that I think the numbers are that AT&T will have about 25 million, roughly subscribers, and it's almost 48 for Netflix. So Netflix is a big player, and look what Netflix is doing. It's plowing money into content. It wants to go and buy content because it has a distribution mechanism that it uses with Amazon's AMS service that it sends. They use cheap distribution over the net. KANGInterestingly, Netflix is actually an example that could be used against the merger in the sense that the companies have argued that without the merger that they could not do the innovations that they're promising, this sort of video on wireless, anywhere, everywhere sort of future. And Netflix is kind of an example of innovation that happened, you know, Netflix, a lot of online streaming companies. KANGAnd so definitely Netflix and what's known as over the top or online video demand is -- those are the kinds of companies that this -- that regulators tried to protect with past mergers in decisions such as the rejection of Comcast's merger with Time Warner Cable. But even in a few years, the market's changed. You know, it's 2014, 2011, the sort of video and Internet market has changed quite a bit. So those companies, like Scott said, like Netflix, are actually quite powerful now. BERGMAYERAnd I want to say, I pay about 10 bucks a month for Netflix, and a cable or a DirectTV subscription is simply significantly more money than that. And also there's a reason why Netflix has invested so much money in original programming. It's because it is almost impossible to get ahold of the kinds of exclusive programming that stills the incumbents have a lock on. It is almost impossible to get a hole of the sorts of -- to reproduce the cable TV package online. BERGMAYERThe only ones who are really making a go of it are DISH and soon to be DirectTV, and it's not a coincidence because they already are incumbents that have access to that programing. MCGINTYI'm Derek McGinty, and you're listening to the Diane Rehm Show. Scott Cleland, you wanted to get in there. CLELANDYes, thank you. When we look at all of the companies that are getting into over the top, and everybody's getting into it, you've got Amazon, Netflix, Google, Facebook, others are interested in getting this, this tells you how dynamic -- like Netflix, now that they've gotten the Broadband industry regulated like a utility, any of these companies can come in over the top, and they do, and they're delivering video. CLELANDSo video competition is exploding, it's coming heavily from the tech sector, into the communications sector. And so this merger by AT&T-Time Warner, it is part of what's going on. MCGINTYAll right, well let's take this back to what we talked about at the very beginning, which is why this might be happening. How much of this is just fear on behalf of a very big company that doesn't know what the future holds, so they say we just better buy something big and hope it works out? KANGI think it's definitely a bit of that. It's definitely -- and wishful thinking. There are big changes. There are new competitors coming forward. In that I definitely agree with Scott. There's every -- all of Silicon Valley is a competitor at this point if you are a communications provider that has traditionally just relied on broadband and TV as your source of revenue. The other reality is that a lot of their businesses are what's known as -- are sort of -- they've reached their peak. They've saturated. KANGIf you are AT&T, it's going to be really hard to get new wireless subscribers at this point. So they need to find new growth and new ways. And so they're looking for ways to create partnerships, for example or these sort of ventures with Time Warner where they can do these exclusive, potentially, video offerings, whatever they may be. These are the kinds of -- this is the direction that they feel that the need to go in. In fact, they have no choice but to go in this direction. MCGINTYSo how do we allow for some of that innovation and change and churning in the marketplace and free market systems and creative destruction, whatever you want to call it, that needs to happen and protect consumers at the same time, John Bergmayer? BERGMAYERWell, I think the market is evolving. I do think you do see increasing competition online, and I think challenging the incumbents from the online sector is generally a good thing. So the question is whether a merger, which would actually instead of allowing for there to be more creative destruction, more new entrants, but would instead further entrench the companies that are already pretty dominant, whether that is ultimately beneficial to competition or not. MCGINTYHe makes an interesting point. The companies involved here, AT&T, Time Warner, huge, successful. Are we better off with them joining forces? CLELANDWell that's what's happening. I mean when you combine different companies, remember it's converging. Why we have bundles is because in the communications sector, the wireless, the wire lien and the cable and the direct broadcast, they all were able to do the same thing, so companies reorganized. Now you can do it over the top. So all the tech companies that do everything that they communications companies are doing, they're organized differently, they don't have content, they're making it themselves, they want to buy it, and everybody's racing in a competitive race to figure this out. CLELANDSome are making mistakes, they made a mistake. I think this is a smart one, myself. MCGINTYAll right, Cecilia Kang, two seconds. Will this go through? KANGThis -- that's tough. I think they have, on the face of it, a pretty good chance on strict antitrust rules analysis by Justice, DOJ, if that's the case. MCGINTYAll right, Scott Cleland, does this happen? CLELANDOn this I agree with Cecilia. If facts are the friend of this merger and due process is, when people look at the numbers, when they look at the precedents and see that, you know, similar mergers like this have gotten through, I don't think there are courts that would block it. BERGMAYERI think there's a very good chance that this gets challenged and blocked based on the widespread opposition we've already seen. MCGINTYAll right, that's John Bergmayer, senior counsel for Public Knowledge, Scott Cleland, president of Precursor LLC, that's a research consultancy for Fortune 500 companies, he's also chair of NetCompetition, a pro-competition e-forum supported by the broadband companies, and Cecilia Kang is technology reporter for The New York Times. We appreciate your insights today, great conversation, thank you so much. MCGINTYAnd thanks to all of you for joining us. We've been listening, or you've been listening, to the Diane Rehm Show.